You might want to check-out my New York Times post that includes 9/11 teaching ideas and a student interactive quiz for English Language Learners. With the anniversary of the attack on the World Trade Center and the Pentagon coming-up in less than a month, I thought I would put together a “The Best…” list to highlight some relevant accessible sites for English Language Learners. There are certainly plenty of resources around that cover many of the country and worldwide effects of the attack in the years since then (and I’ll probably be compiling a list of them soon). This list, though, is focused on sites that talk about the day itself. I do, however, include one or two resources that provide some historical perspective. Online English News has a good report on the Reaction To September 11 that provides audio support for the text. Complete an audio exercise on 9/11 at the Web Language Lab. New York Magazine has a Photo Gallery of that day’s events.. The Wall Street Journal has an interactive graphic depicting the rebuilding, and changing, of the Manhattan skyline after 9/ll. The Washington Post has an interactive called Sacred Ground:The Building Of The Pentagon Memorial. The Freedom Tower Rises is a New York Times video on the rebuilding at the site. Steel Artifacts is a New York Times slideshow showing how pieces of the World Trade Center are being used in memorials around the country. The New York Times has several links to an incredible collection of videos about the attack. The Challenge of Memorializing 9/11 is a slideshow from TIME Magazine. 8th Anniversary of 9/11 Terrorist Attacks is a New York Times slideshow. Remembering September 11th is a series of photos from the Boston Globe’s Big Picture. Teachers can get some free sample lesson plans from a new and highly regarded 9/11 curriculum. Modifications would have to be made for ELL’s. The New World Trade Center is a series of panoramas of the site where the Center is being rebuilt. It’s from The New York Times. Memorial Pool Nears Completion at Ground Zero is an interactive panorama from The New York Times. There’s been a disappointing (to me, at least) controversy about building a mosque near the Ground Zero site in New York City. You can see a slideshow about it from the New York Times. The New York Times also has an article that can be modified to be made accessible to English Language Learners. “A Brief History Of Intolerance In America” is a good slideshow from TIME Magazine. It’s connected to controversy around the mosque near Ground Zero. Contemplating Controversy: The Proposed Islamic Center Near Ground Zero looks like another good lesson plan from The New York Times Learning Network. The View From Ground Zero is an interactive from The Washington Post. What do you think Anne Frank would say about all the anti-Muslim sentiments being expressed in opposition to the proposed New York mosque (and mosques in other states, too)? Anya Cordell , the recipient of the 2010 Spirit of Anne Frank Award, has some ideas. Read them at THEN WHAT? The Consequences of Lighting the Anti-Muslim Fuse. “The 9/11 Museum at Ground Zero” is from Fast Company and includes photos and videos of the museum, which is expected to be completed in two years. Tangible Progress at the World Trade Center is the title of a New York Times slideshow on construction at the World Trade Center site. Muslims and Islam Were Part of Twin Towers’ Life is a New York Times article about the Muslim pray room that was in the Twin Towers. The World Trade Center Site Over 55 Years is a slideshow from the PBS News Hour. The Evolution Of Ground Zero is a slideshow from TIME Magazine. Remembering 9/11 is a series of photos from The Los Angeles Times. Remembering the Events of Sept. 11, 2001 is a New York Times slideshow. Reviving Ground Zero is an interactive from The New York Times. 9/11 in 2010, Remembrance and Rebuilding is from The Big Picture. Teaching 9/11: Lessons To Inspire Your Students has a large number of resources you can purchase, but also has some good free sample lessons. Thanks to Julie Mushing for the tip. Controversy over the NYC Muslim Community Center & the 9/11 experience is a lesson plan from Teachable Moment. The 9/11 Interactive Timeline is an impressive site from the National 911 Memorial. The 9/11 Memorial & Museum is the central link to tons, and I mean tons, of resources. One Day After at Ground Zero is from TIME. President Obama in New York is a slideshow from The Telegraph. Joel Meyerowitz Revisits Ground Zero is a fascinating slideshow from TIME. The World Trade Center Steel Program is a slideshow from TIME Magazine about the program to donate parts of the Center for memorials throughout the world. An organization of educators and survivors’ families known as the 4 Action Initiative has released a free 236-page guide to teaching September 11. You can read a nice description about it here, and access the entire curriculum here. Portraits of Grief comes from The New York Times. Amazing new pictures of Ground Zero site shows One World Trade Center soaring above New York’s skyline is a photo gallery from The Daily Mail. The New York Times Learning Network has begun a week-long posting of exceptional 9/11 teaching ideas. You’ll be able to find them all here. 9/11 Ripple is from CNN. Stephane Sednaoui: 9/11 Search and Rescue is an impressive slideshow from TIME. Reflections on 9/11 is a joint project of The New York Times and YouTube. 911 Materials for Teachers comes from the U.S. Department of Education. Ground Zero Now is an interactive from The New York Times. This Is My Simple Three-Day Lesson On 9/11 — Can You Help Me Make It Better? The Reckoning: America and the World A Decade After 9/11 is a massive feature unveiled by The New York Times. The Lessons is a particularly interesting part of that feature. It reviews how 9/11 is treated in textbooks around the world. Sept. 11th and Its Aftermath is another NY Times section. Here Are The Sites I Used In My 9/11 Lesson is a post I’ve written. 9/11 timeline: The story of the day is from the BBC. 9/11: Ten Years Later is from The History Channel. 9/11: The Day of the Attacks is from The Atlantic. The Tenth Anniversary of 9/11 is a TIME slideshow. 9/11 anniversary: photographers recall day of horror – interactive slideshow is from The Guardian. Alexander Russo has a not-to-be-missed post including several links to stories on the classroom and school where President Bush was reading to kids at the time of the attacks. Commemorating the 10th Anniversary of 9/11: Including ELLs comes from Colorin Colorado. The world observes the 10-year anniversary of Sept. 11 is a slideshow from The Los Angeles Times. A Nation Remembers is a New York Times slideshow. 9/11 anniversary: New York remembers the victims of the attacks on the World Trade Center is a Telegraph slideshow. Memorials begin as America remembers 9/11 is a video from The Telegraph. Remembering 9/11 is a NY Times slideshow. The Smithsonian has collected a ton of lesson plans related to 9/11. One World Trade Center: Construction Progress is a photo gallery from Atlantic. Reader Ideas | Teachers and the 9/11 Anniversary is from The New York Times Learning Network. High Schools Teachers Address Post-9/11 Stereotypes is from U.S. News. 9/11 observances: Moments of silence to start 12th anniversary of terror attacks is from CNN. 10 ways the world has changed since 9/11 is a slideshow from The Washington Post. How Not to Commemorate 9/11: Use 9/11 to Advertise Your Product is from The Atlantic. 9/11: United States marks 12th anniversary of attacks is a photo gallery from The Boston Globe. 11 moving images from 9/11 submitted by people around the world is from TED Talks. President Obama spoke at the opening of the New York City 9/11 Museum, and it’s open to the public. Here’s a photo gallery of the museum from the Boston Globe. 9/11: The Flight 93 National Memorial is from The Atlantic. 9/11 From the Front Page to the History Books is a lesson plan from the Newseum. 15 Years After 9/11 Attacks, Classroom Approaches to Topic Take Many Forms is from Ed Week. Teaching The Attacks of Sept. 11 To Students Who Didn’t Live Through Them is from NPR. Help Students Get Perspective on 9/11 is from Teaching Tolerance. Remembering September 11, 2001 is from StoryCorps. America’s Deliberate Empathy in Teaching 9/11 is from The Atlantic. Making September 11 Relevant to Young Learners is also from The Atlantic. 15 Years After 9/11 Attacks, Classroom Approaches to Topic Take Many Forms in Ed Week. Portraits of Grief is from The NY Times. The Pitfalls of 9/11-Themed Advertisements is from The Atlantic. From Cornerstone to Skyscraper: One World Trade Center is a photo gallery from The Atlantic. The most iconic photos from Sept. 11 and its aftermath is from The Washington Post. If you’ve found this post useful, you might want to consider subscribing to this blog for free and checking out the 700 other “The Best….” lists. Great resources, Larry. I will share your “best” sites on my blog (http://adultedmatters.wordpress.com). Thanks. This is a great list of sites. There are also some relevant sites in Great Britain, as mentioned in http://www.insted.co.uk/teaching-about-11-september.pdf. Fantastic list as always! 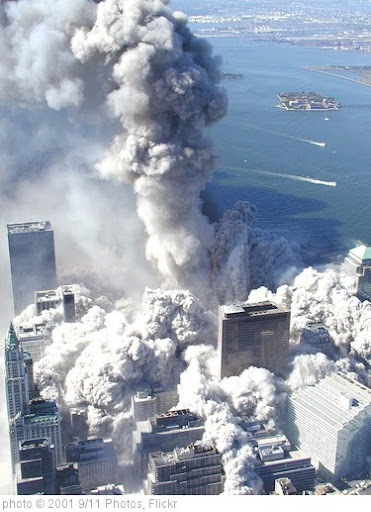 ESL-Library also has a collection of 9/11 lessons including one about the 9/11 heroes. http://bit.ly/qCboGR These lessons are useful for intermediate +.